The Allies forces have landed and are making their way inland! The Axis forces are regrouping for a Counter Attack in the French countryside hoping to push the Allies back into the ocean. This month’s mission is Counter Attack. In this mission, the attacker will set up two objectives and have six turns to secure 2 VPs. In this mission, the attacker has an ace up their sleeve. They can place one of their tanks into a Flanking Reserve. This tank will show up on turn three touching any table edge the attacker chooses, so the defender must be ever vigilant waiting for that reserve tank to arrive. During this month the Germans are always the attackers when facing British or American forces. Bocage works similarly to a forest. It blocks line of sight through the Bocage and can be entered by tanks, but the Bocage is more difficult to see into than forests. Tanks completely inside Bocage can only be seen by other tanks that are at least partly inside the Bocage. 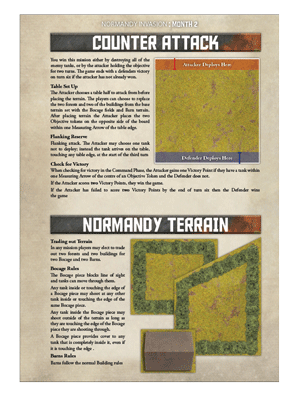 Tanks with a bit of the hull sticking out of the terrain will be able shot out and be shoot at as long as you do not draw your line of sight through the Bocage. These are just alternative buildings to add to your set, we had room on the card so we thought we would add some bonus terrain to the set. 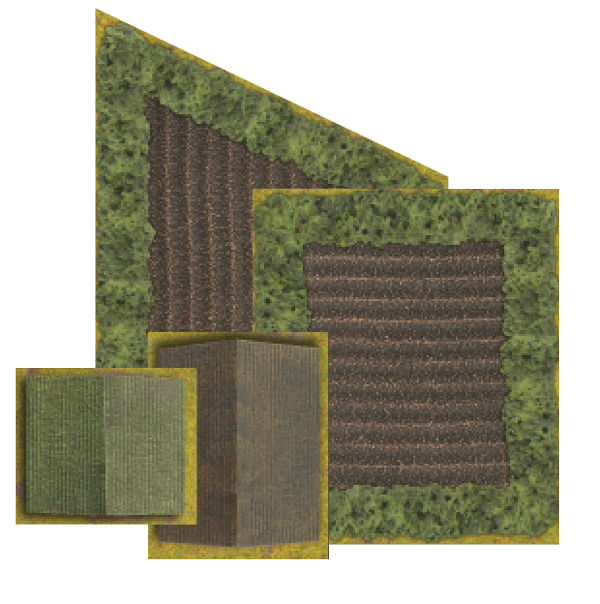 These can be used instead of any building when setting up terrain at the start of the game. This month we see our first British oversized card! 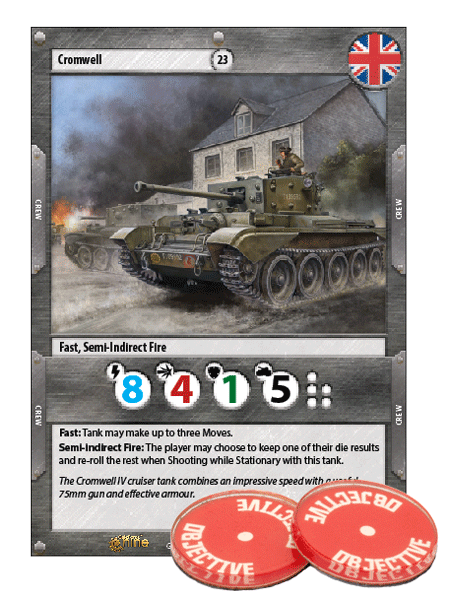 The Cromwell is a fantastic tank and it looks amazing on its oversized art card. The other participation prize this month is a set of acrylic objectives in the red colour scheme. With felt bottoms, these Objective markers will stay put easier than their cardboard variants. You now know your mission and the rewards! The cost of failure is too high, you must rally your platoon and fight with whatever you have to secure Normandy and win the day.